Searching for a way to mount Luxos U headlignt on my bike. 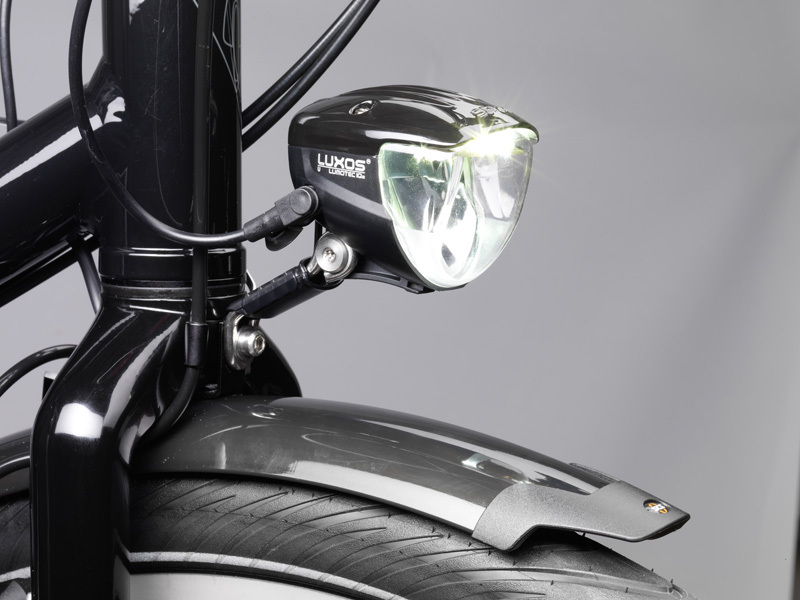 I am looking for a way to mount this headlight on my bike. I am using this Blog post to take some notes on my progress to solve this problem. My hope is that the Hive Mind on the Internet will kick in and help me figure this out. Below is a picture of the light that I want to purchase from Peter White Cycles. One of the main issues is that my bike has a custom headset and the stem and handle bar are not the standard variety for mounting accessories. Here are some images of my bike. Stem has my Garmin mounted. Here is the manufacture’s standard mounting bracket. At this point I am stuck. Here is a link to Peter White Cycles bracket mounting page. I will update this post when a solution is discovered.